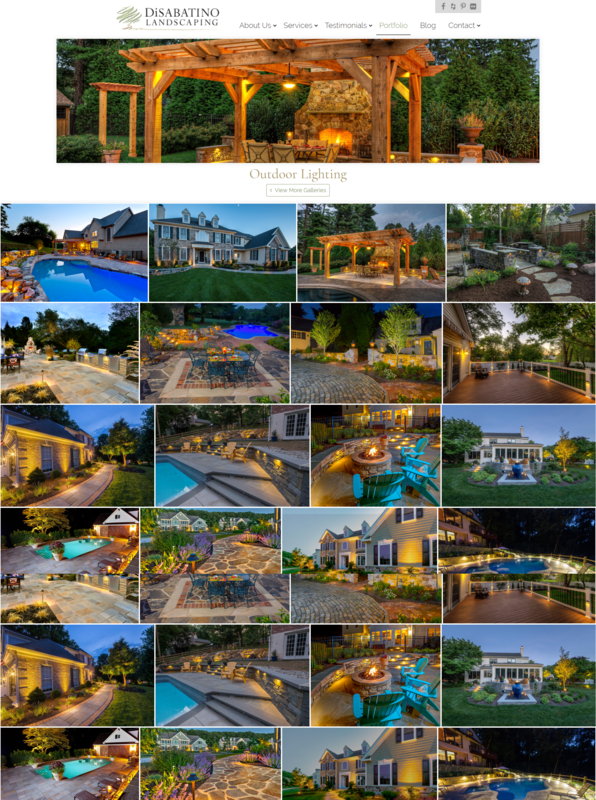 DiSabatino Landscaping | Portfolio | Sharp Innovations, Inc.
DiSabatino Landscaping has built a proud reputation as a superior Delaware based landscaping and outdoor living space designer over more than 25 years, and they wanted a website to match the reputation. In addition to simply wanting a more modern website in place of their previous design, they also wanted to overhaul the content, better showcase their projects, and make it as easy as possible for people to contact them for consultations or with questions. Sharp Innovations met with the DiSabatino team multiple times to discuss the best approach for the overall layout of the new site. 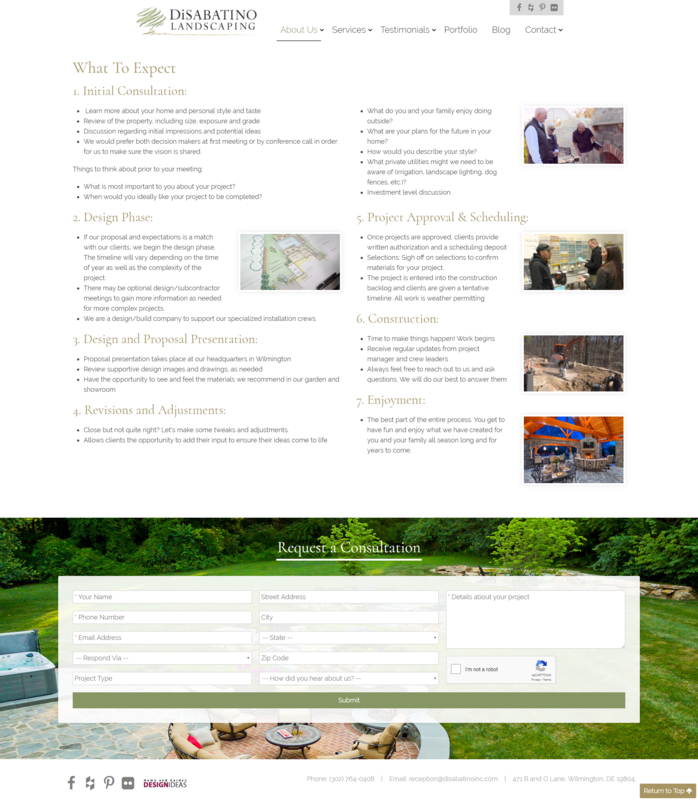 Taking everyone's input into account, we produced several potential designs and refined them until we ended up with something the client loved. 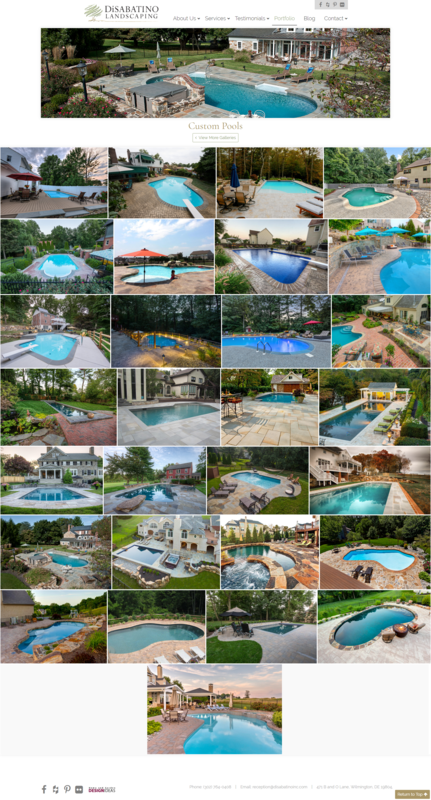 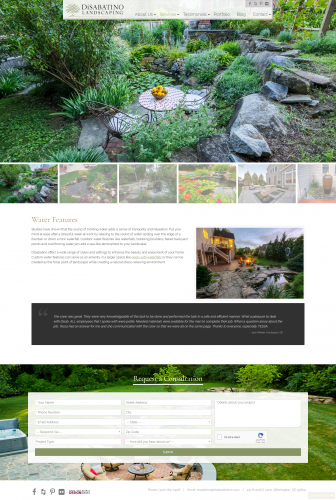 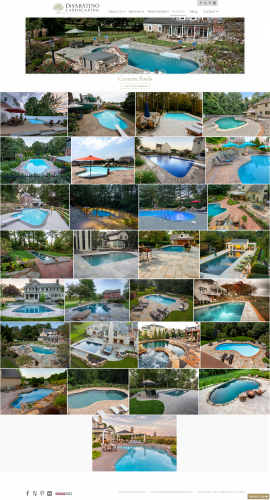 DiSabatino provided an array of fantastic photos that beautifully demonstrate the quality of their projects, so we made sure the layout of all pages was conducive to displaying large pictures made to impress. 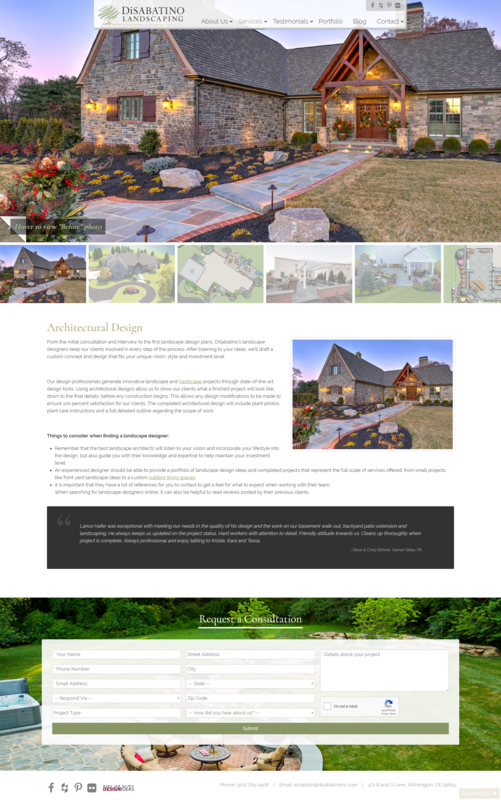 We also developed a custom roll-over animation to show before and after photos in the form of a peel effect. There is also a consultation request form at the bottom of every page in addition to buttons throughout the body content prompting users to submit requests, resulting in an increase in website form submissions. 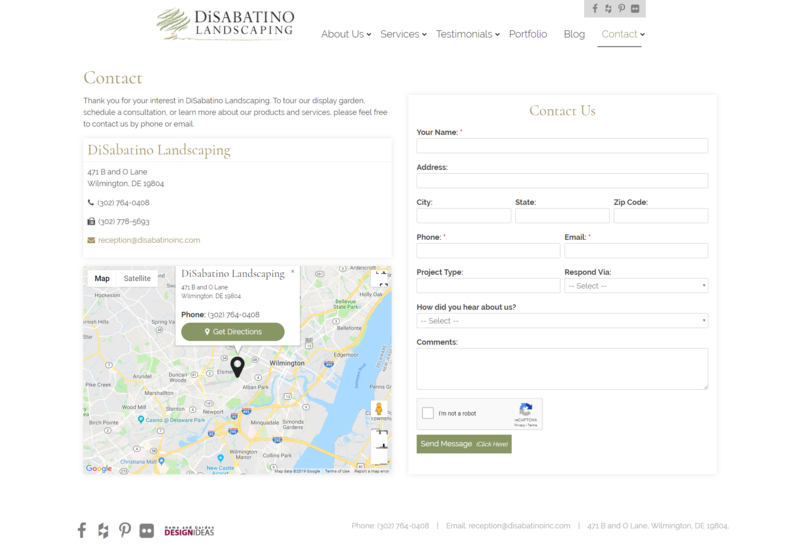 The site is also built on WordPress so DiSabatino is able to make changes to all of the pages themselves.